I was in school for a bunch of years, and took a bunch of research design courses and a bunch of statistical analysis courses. Easy ones, hard ones, and a few really interesting ones. Surprisingly, one thing I never learned about was box scores, a statistical staple in the market research world. Box scores are a way of talking about and working with Likert scales or other types of categorical scales so that everyone knows whether you are talking about the positive end of the scale (top box, top 2 box), the middle of the scale (middle/neutral box), or the negative end of the scale (bottom box, bottom 2 box). Instead of calculating average scores from the Likert scale responses, box scores are reported as the percentage out of the total number of people who answered the question. (If 10 out of 50 people chose strongly agree, top box score is 20%) Box scores let you clearly identify how many people fall into a subgroup – people who are happy, unhappy, or just don’t care about your product. Why do box scores matter? In a sense, they do report the same type of information as average scores. 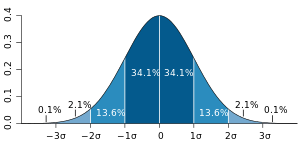 But, unless standard deviations are near and dear to you, average scores often appear very similar between groups. It’s hard to explain to a client why scores of 3.6 and 3.9 are very different because there is no intuitive difference between those numbers. But, let’s think about box scores now. Can you intuitively understand the difference between 30% of people liking your brand and 40% of people liking your brand? I’m pretty sure you can. And you don’t need to understand what a standard deviation is either. I’m not in favour of dumbing down statistics but I am in favour of people understanding them. Here’s another reason box scores are good. The average score calculated for a result that is 10% top box, 10% bottom box and 80% middle box is exactly the same average score you would get for a result that is 40% top box, 40% bottom box, and 20% middle box. I’d certainly like to know if 10% or 40% of people hated my product. That’s a pretty important difference to be aware of and I wouldn’t want it getting lost because someone had a weak understanding of what a SD is. So now, psychology/sociology/geography majors, go forth and prosper as market researchers!